Facebook is creating a company town in Menlo Park, California. A company town is a residential area, complete with schools, grocery stores, and entertainment built by one company. Employees of that company will live there for a discounted rate. And sometimes, these companies will relocate entire families to these developments as a way to bolster their workforce. The auto industry notoriously created entire towns like this. Facebook is doing this in something they are calling the Willow Campus. This is good for Facebook, but probably a bad idea for its employees in the long run. 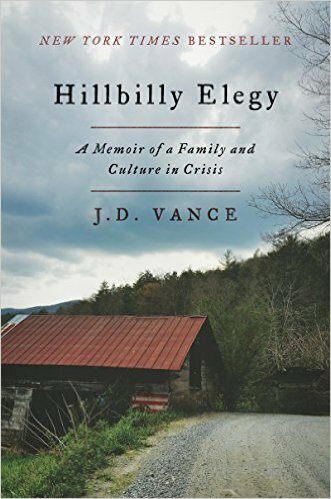 I read a book last week called Hillbilly Elegy by JD Vance. The book is the story about the lives of people in Appalachian America — how they live, what their struggles are, and how some of them get out. JD was born in a Jackson, TN and then later relocated, along with a large population of people from that region, to Middleton, Ohio. The migration was no coincidence. Armco Steel setup a plant in Middleton, and was paying entire families to move and work in their factories in exchange for a good working class wage. Something most people didn’t have a chance of seeing in rural Eastern Tennessee without living in a coal mine. Armco built housing for these people, stores, schools for their children, and public parks. This was during the heyday of the American automobile, and Middletown was thriving. Two things happened — there was an economic recession and car manufacturers stopped using so much steel in their cars. Jobs at Armco, the company that made Middletown what it was, were cut. People couldn’t find work but were planted there with their familes. People that wanted to sell their house and replant their families somewhere else had a difficult time because their houses were now worth next to nothing. Selling meant losing money. Facebook is creating seeds of this problem in Menlo Park. Initially, housing development seems like a good idea. Their employees get a good deal, they get access to good schools for their kids. This is a delicate ecosystem, though. What happens if there is a decline in Facebook and they have to cut jobs? Where do the families that live in the Willow Campue go? Menlo Park is in a decidedly better position. There is a wealth of tech companies in the area, and people can make a short commute to others in the region. If you think software is an indestructible industry, let’s go over a few things real quick — banking, mortgages, automotive, housing, Each of those industries were major job providers in the US in the last 20 years. They were also thought to be so stable that nothing could go wrong. Each of these businesses had a massive failure that lead to people losing jobs, houses, and retirement funds. Menlo Park is probably safe for the moment. Like my story last week about Amazon’s acquisition of Whole Foods, these things take time to manifest. Facebook isn’t going to die overnight leaving the population of Menlo Park stranded, jobless, and penniless. But, the company town is certainly one way to make that a possibility in the future.